The holidays are upon us, and it’s a fine time to consider replacing your aging desktop PC. Much has changed in the past year, with new processors and graphics cards from AMD, Intel, and Nvidia delivering performance enhancements at every price point. And you still have a wealth of options to choose from, whether you’re shopping for a fixed retail configuration or customizing a system from a boutique PC vendor. Colorful cases of all shapes and sizes have long replaced the humble beige box, but indecipherable naming conventions aren’t making shopping any easier. Presented with so many possibilities, you need to narrow the field by considering what you want to use your new desktop for. Are you an avid photographer looking for a speedy but cost-effective platform for editing high-resolution images? You’ll benefit from buying a machine with extra RAM and a discrete graphics card. 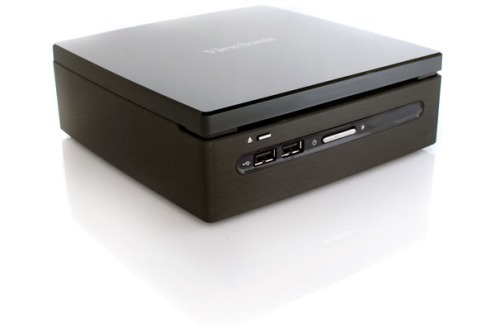 If you’ve acquired an extensive media collection, and you want an inexpensive and efficient way to pipe it to your HDTV, a compact PC tailored toward media sharing and playback may be your best bet. Desktops fall into three major categories, each with its own range of price and performance: all-in-one PCs, compact PCs, and tower PCs (which we further divide into budget, mainstream, and performance subcategories). Each style of machine has different strengths and weaknesses, and choosing the one that’s best for you depends largely on how you plan to use it. Once you’ve picked the appropriate desktop category, our guide to PC specifications will help you select a system that delivers the performance you need, while staying within your budget. And when you’re ready to buy, check our shopping tips for advice on how to get the most from your investment. With their compact size and integrated displays, all-in-one PCs can reside almost anywhere you have a spare power outlet. 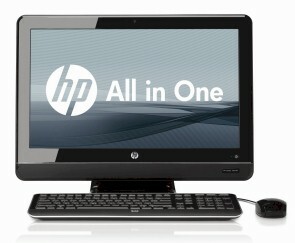 Most all-in-ones also offer touchscreens, with support for Windows 7’s multitouch gestures. All-in-one components vary from brand to brand, but you can expect to pay more for an all-in-one than for a similarly equipped standard desktop; again, some models target buyers on a tight budget, while others load up on performance-oriented components (at a higher price, of course). For example, low-priced all-in-ones such as the Gateway ZX4300-01e use laptop or netbook processors and integrated graphics; you’ll get reduced performance to match the reduced price tag. If you have a larger budget, you can opt for a model like the HP TouchSmart 600 Quad, which includes a quad-core processor (most often seen on full-size desktops) to deliver superior performance, and sports a roomy 24-inch screen. You’ll be paying in the area of $2000 for those high-end specs, however. Whatever your needs, you’ll likely find an all-in-one that’s just right; check out “All-in-One PCs for Everyone” to read about some of our favorite models for every scenario. A budget tower desktop carries standard desktop components, but can cost as little as $300 if you select older hardware or an inexpensive, low-end processor. Typically, such PCs are minitower systems, with fewer drive bays than a full tower has. The Gateway SX2840-01 offers a Core i3 processor, delivering relatively speedy performance for just under $600. Inexpensive tower desktops usually incorporate low-powered, integrated graphics rather than discrete graphics cards. As a result, your entertainment options may be limited. High-definition media playback suffers on models equipped with older Intel-based integrated graphics; and if you’re interested in gaming, you’ll find that such a system is hard-pressed to tackle anything more demanding than Flash-based titles. Machines equipped with Intel’s Core i3 processor offer improved integrated-graphics performance built right onto the chip; though they aren’t adequate for video games, they do support satisfactory high-def media playback. Higher up in the desktop chain, you’ll find systems aimed at mainstream users. 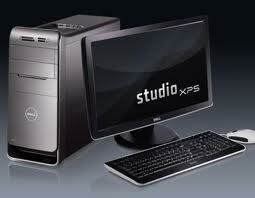 These PCs start in the vicinity of $800, and carry at least 500GB hard drives and about 4GB of RAM. Powered by dual-core, quad-core, or even lower-end six-core processors, they deliver better performance than budget desktops do, without breaking the bank. Consider the Dell Studio XPS 7100: For just over $1500, this machine features a six-core Phenom II X6 1055T processor and an ATI Radeon HD 5870 graphics card. Occupying the high end of the spectrum are performance desktops. Such PCs generally start at a little over $2000, though category titans like the Origin Genesis sit at just under $7000. Most performance PCs are full tower systems, equipped with a slew of drive bays and expansion slots. Designed to tackle challenging tasks, they come equipped with the latest and greatest Intel or AMD quad- and six-core processors, at least 6GB of RAM, and at least one discrete graphics card. Some performance desktops contain multiple graphics cards. Performance desktops are suitable for users who need a lot of processing power to get their work done–that is, professionals who do extensive high-resolution photography or video editing–and gamers who are willing to pay for top-of-the-line performance and visual effects.